The city of Alexandria in Egypt was founded by Alexander the Great at the end of the 4th century BCE. The Great Library of Alexandria, also known as the Royal Library of Alexandria, (the Library) became one of the city's crowning achievements. 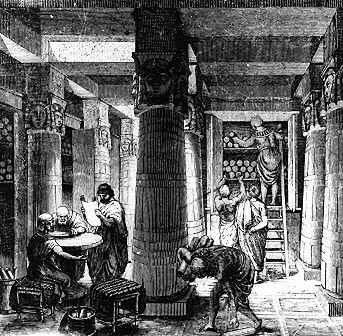 The Library also became the most famous library in antiquity. Established in the 3rd century BCE, during the reign of the Ptolemies, the Library - at its height - is estimated to have held over 700,000 scrolls. These scrolls covered everything from poetry to mathematics, astronomy to medicine. According to one article from Ohio State University, the Library housed the ancient learning of Assyria, Greece, Persia, Egypt, India, and many other nations. In addition to its vast collection of written knowledge, the Library also housed over 100 scholars from all over the Hellenistic world. They engaged in research, teaching, inventing, and discovering. Among these scholars was Euclid. He wrote his seminal work on geometry at the Library. Eratosthenes, another mathematician, learned how to measure the Earth's circumference. Herophilos, whom many claim was the world's first anatomist, wrote at the Library about the human body, including works on how blood flows, the phases of childbirth, and the role of the brain in human thought. Due in large part to the presence of the Library, Alexandria became the center of scholarship and learning in the Hellenistic world. The Library helped establish Alexandria as the period's most cosmopolitan, culturally diverse city. The contents of the Library were, as noted above, works written on scrolls. According to Britannica.com, these scrolls contained the work's title, author's name, editor's name, its place of origin, length (in lines), and whether the manuscript was mixed (containing more than one work) or unmixed (containing a single work). The Greek poet and scholar, Callimachus, also created a bibliographical survey of the Library's contents, fragments of which survive today. These fragments show that the Library was divided into subject areas, including rhetoric, law, epic, tragedy, comedy, lyric poetry, history, medicine, mathematics, natural science, and miscellaneous. What is also known is that the Library was part of a much larger complex that housed shrines dedicated to each of the nine muses, lecture areas and living quarters, observatories, and even a zoo. The most commonly accepted account of the Library's destruction occurred in 48 BCE. At that time, Julius Ceasar occupied Alexandria. When he attempted to leave the city by boat, a fleet of Egyptian ships blocked his exit. Ceasar ordered his men to set fire to the ships, but the conflagration raged out of control, setting fire to the Library. This account is not entirely reliable. While the fire set by Ceasar did destroy a part of the Library, Marc Antony subsequently gifted 200,000 volumes to Cleopatra from the library at Pergamum to make up for these losses. This gesture indicates that the Library was still in existence after Caesar's time. In truth, the Library appears to have succumbed slowly to neglect and the upheavals that occurred in the Roman Empire as Christianity spread to Egypt, and not from a single, destructive event. No one knows for certain what may have been lost when the Library was destroyed. Undoubtedly, the Library housed important works we will never know even existed. Today, all we have are tantalizing clues that hint at the extent of humankind's loss, but those clues suggest the loss was extensive. 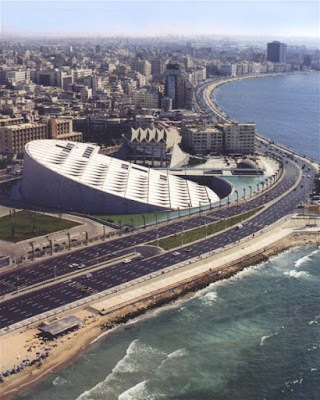 Officially opened in 2002, Alexandria boasts a new, culturally significant library known as the Bibliotheca Alexandrina. According to Wikipedia, the location of the modern-day library is "close" to where the ancient Library once stood. 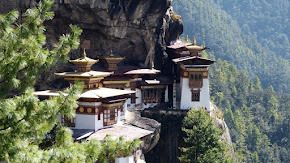 However, this description cannot be verified because the original location of the Library is not known with certainty. Bibliotheca Alexandrina is a vast complex consisting of a main library with shelf space for 8 million books plus a specialized library containing all the works by Nobel laureates in literature since 1901. There is also a specialized library for children as well as one for the blind or visually impaired. The collections at Bibliotheca Alexandrina were donated from all over the world. In addition to its impressive library collections, the Bibliotheca Alexandrina has conference space, four museums (including an antiquities museum), four art galleries for temporary exhibitions, 15 permanent exhibitions, a planetarium, and a manuscript restoration laboratory. Is Alexandria coming out of Cairo's shadow?